Ellen Langer is Professor of Psychology at Harvard University. Her work focuses on the illusion of control, aging, decision-making, and mindfulness theory. Ellen’s books include Counterclockwise: Mindful Health and the Power of Possibility, Mindfulness, The Power of Mindful Learning, and On Becoming an Artist. 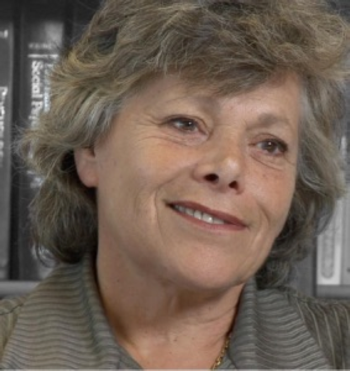 She also is the author of over 200 research articles and six academic books, work that has led to numerous academic honors including a Guggenheim Fellowship, the Award for Distinguished Contributions to Psychology in the Public Interest of the American Psychological Association, the Distinguished Contributions of Basic Science to Applied Psychology award from the American Association of Applied & Preventive Psychology, the James McKeen Cattel Award, and the Gordon Allport Intergroup Relations Prize. Ellen is a Fellow of The Sloan Foundation; The American Psychological Association, the American Psychological Society, The American Association for the Advancement of Science; Computers and Society; The Society for the Psychological Study of Social Issues; The Society of Experimental Social Psychologists.